Vehicle-carried anti-tank missile system mounted on the fighting vehicle turret (ICV, APC) is intended to destroy stationary and moving modern armoured targets with combined, carried or monolithic armour including ERA (explosive reactive armour), and also pinpoint targets like weapon emplacements, a tank in a trench, light-armoured objects and helicopters. 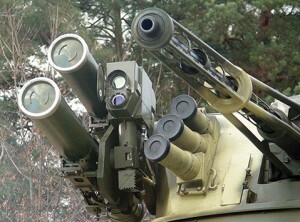 “KOMBAT” anti-tank guided missile is intended for firing from tanks T-80UD, T-84, T-72, modernized T-64 against stationary and moving modern armoured objects with combined, carried or monolithic armour including ERA (explosive reactive armour), and also against pinpoint targets like weapon emplacements, a tank in a trench, light-armoured objects and helicopters. 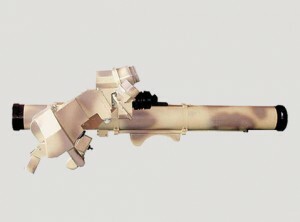 Anti-tank guided missile is intended for firing from ICV-3 against stationary and moving modern armoured targets with combined, carried or monolithic armour including ERA (explosive reactive armour), and also against pinpoint targets like weapon emplacements, a tank in a trench, light-armoured objects and helicopters. 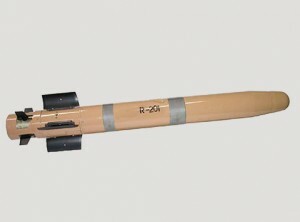 Portable anti-tank missile system is intended to destroy stationary and moving modern armoured targets with combined, carried or monolithic armour including ERA (explosive reactive armour), and also pinpoint targets like weapon emplacements, a tank in a trench, light-armoured objects and helicopters. 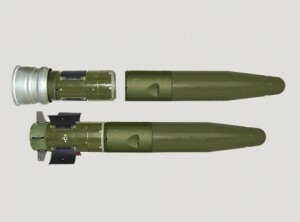 System characteristic lies in its possibility to aim the missile into the target from closed emplacements and shelters to reduce the risk of the gunner destruction by reply fire attack of the enemy. 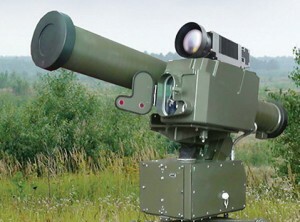 Light portable anti-tank system is intended to destroy stationary and moving modern armoured targets and other objects with combined, carried or monolithic armour including ERA (explosive reactive armour), and also pinpoint targets like weapon emplacements, a tank in a trench, light-armoured objects and helicopters.